This CRACKS me up. Because it’s true. Working out, and finding a healthy fitness routine isn’t rocket science. Watching TV? Do 25 squats during each commercial. Don’t have time to workout everyday? Lace up your tennis shoes and walk for 30 minutes during a phone call, or, you guessed it! 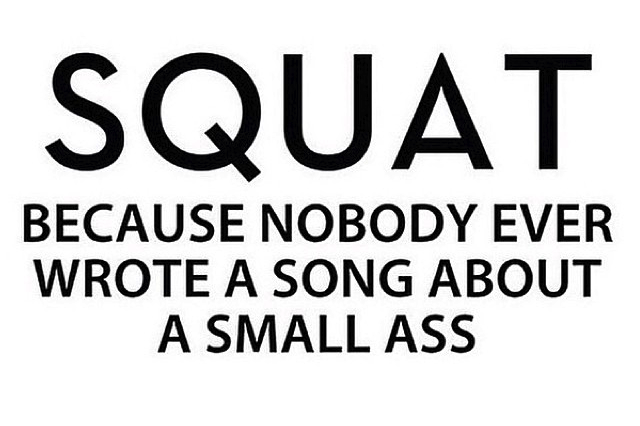 Squat. 4 sets of 25, 3-4 times a week is all you need for an amazing backside. Thank you Sir-Mix-A-Lot.